Get busy living or get busy dying that why I’m busy studying. I just want to graduate. I’m here more than any other place. Next year will be better, I hope. Good luck. You are going to need it. Don’t forget to pray for our college students as they take exams and prepare for life. Sustained by grace, we are called to serve Christ, share God’s love, and work for justice in a complex world. Westminster follows the Presbyterian Book of Confession and is a confessional church. You can view/read the Book of Confession at the PC(USA) website by clicking on the following link: http://www.pcusa.org/book-confessions. 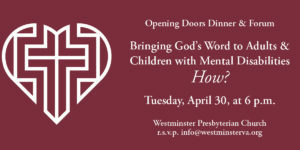 © 2019 Copyright Westminster Presbyterian Church. All Rights Reserved.